FrequencyDeliver the right amount of ads to your target customer. Creative Management PlatformProduce, review and traffic ads across display, video, social and native in one easy interface. 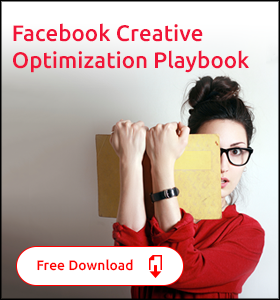 Dynamic Creative OptimizationPersonalize and optimize ad experiences for each person cross-channel and across time. Experience MeasurementTrack the lifetime experience of your customers to optimize your marketing strategy. 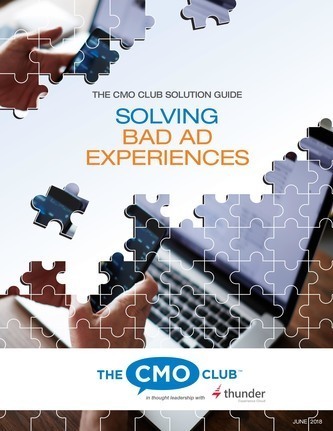 Resource CenterRead more in-depth guides, whitepapers, and case studies on improving ad experiences. CareersFind out what opportunities exist at Thunder and what it is like to work here. ContactReach out to schedule a demo, provide feedback, or chat about people-based marketing. Audited for security and compliance purposes. Video: What is a Creative Management Platform (CMP)? 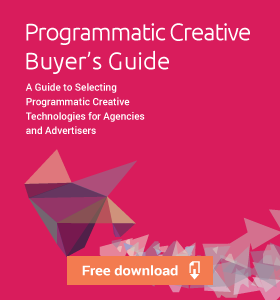 Creative Management Platforms (CMPs) are a class of programmatic creative technologies that enable digital marketers to tailor, test and optimize display and social ad campaigns. 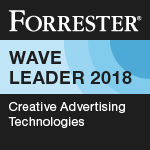 Leveraging a CMP allows programmatic advertisers to create hyper-targeted ads at scale, dramatically amplifying the creative output of a team and the performance of each campaign. In this video, learn more about the benefits of using a Creative Management Platform and how they compare to Dynamic Creative Optimization technologies (DCOs). If you like this video, you might like this post: 7 Ingredients For The Perfect Creative Management Platform. 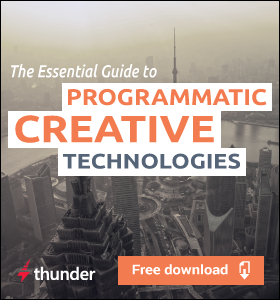 And if you want to learn more about programmatic creative, download our free eBook: The Essential Guide To Programmatic Creative Technologies.